Kathy has studied Fine Arts at the University of Manitoba. 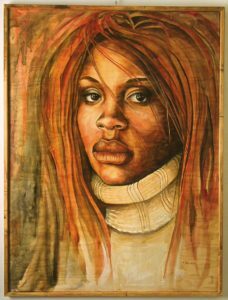 Though she majored in drawing Kathy and has been working mostly in oil paints for the last 39 years. 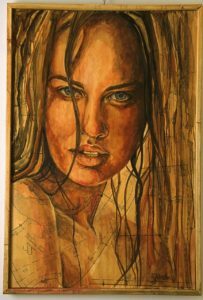 She has been in numerous shows and has won a number of awards from Best in Show and Best in Category at the Winnipeg Harvest Art Competition along with Viewers Choice Award and 2nd place at the Manitoba Society of Artists Art Competition. She is a member of the Winnipeg Sketch Club, Mentoring Women's Association of Winnipeg and the Assiniboine Group of Artists. "Kathy experiments with different painting platforms from canvas, wood and building materials. Her new work is mostly figurative. 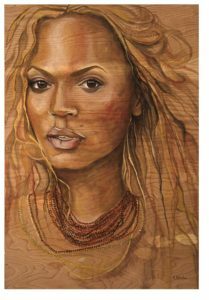 Her current work,the Creating Woman Series, expresses her interest in exploring the identity of women, the roles placed on women and the association of femininity with beauty." 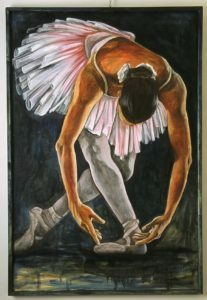 You can visit her website at: http://www.kjohnston.com/ See below images of her work.